More and more Filipinos are living an active lifestyles and getting into various sports and outdoor activities. The Philippines being tropical and humid in nature - it is very challenging to remain smelling fresh all day. Some even shy away from extreme physical activity because of fears that they won't smell good from all sweating. But don't sweat it ! 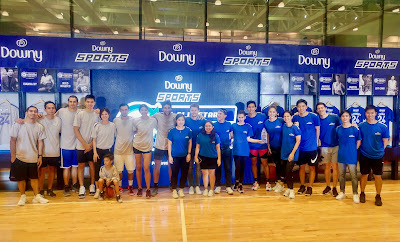 Downy, the world's best selling fabric enhancer, recently launched the New Downy Sports - the first and only fabric enhancer in the world with 24-hour odor protection technology for your clothes. It is designed to provide active individuals engage in extreme physical activities the confidence of a long-lasting refreshing scent even on sweaty days. 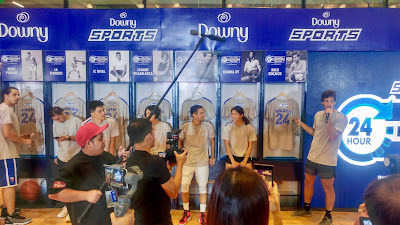 Proving that smelling fresh and feeling great can be possible despite prolonged physical activities, Downy Sports recently held the 24-hour All Star Freshness Challenge, an afternoon of intense basketball games pitting celebrity-led teams headed by actress and vlogger Alex Gonzaga, as well as soccer player and fitness enthusiast Nico Bolzico. In one intense afternoon, members of Team Alex and Team Nico gathered at the Kerry Sports Plaza over at Shangri-La at The Fort to test each others' basketball wits and sweat at the court. Making-up Team Alex were Thirdy Ravena, Mitchele Gumabao and Maricel Laza - Pangilinan. Team Nico, on the other hand had Kiana Dy, Joanne Villablanca and Anton del Rosario. Each all-star team was coached by professional basketball stars including LA Tenorio, JC Intal, Asi Taulava, Jeff Chan, Mark Pingris, and Robert Bolick. Members of each team wore jerseys rinsed with Downy Sports, whose innovative mal-odor removing technology is activated by friction. Rubbing the clothes releases perfume bubbles that keep the fabrics smelling fresh all day long. After hours of intense action, including lay-up matches, a dribbling obstacle course, and a basketball game, the players were astounded that despite the tremendous amount of sweat accumulated from the afternoon of intense action, the jerseys smelled amazingly fresh. "This is just awesome. My jersey still smells great even if it's drenched in sweat. And the best thing is that I feel fresh. Considering my lifestyle, I'll definitely make sure that my clothes are washed with Downy Sports so that I'll always smell fresh. Definitely, wifezilla-approved !" said Nico Bolzico. Alex agreed. "I can't believe that my jersey still smells good even after those sweaty games. 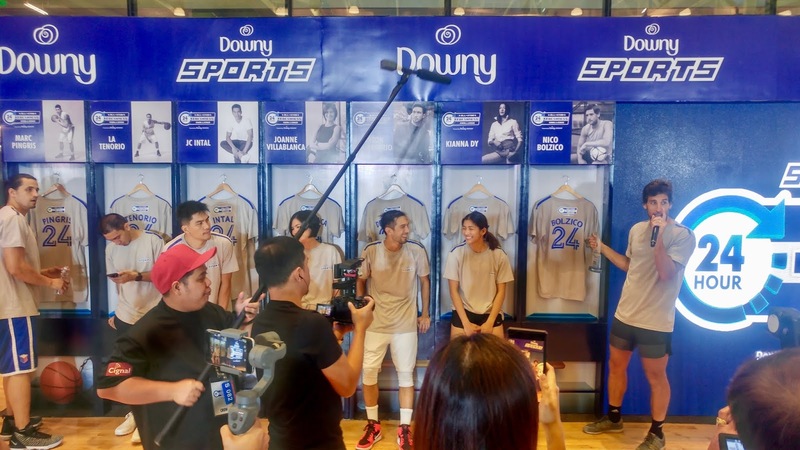 Downy Sports is really a refreshing discovery, and no I know I'll get to stay fresh all day - whether it's for sports or for the everyday hustle with taping, vlogging, events and shopping !" 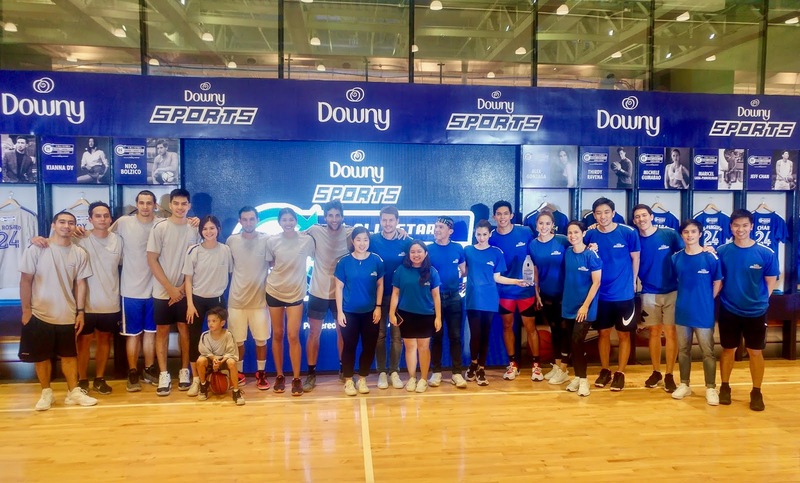 Downy Sports' extreme mal-odor protection is expected to benefit millions of Filipinos who want to continue living in active lifestyle with the confidence of having a 24-hour odor protection, even through sweat ! "The Philippines is a tropical country with high humidity so people tend to sweat a lot, especially when they engage in physical activities an sports. Many complain of the stench in their clothes whenever they sweat. We are confident that with the New Downy Sports; 24-hour deodorant protection. Filipinos will be assured that they will smell and feel fresh even in extreme sweaty situations in their daily routine." said Cedric le Goff, Country Category Leader for Downy Philippines. Don't sweat the smell stuff. Make the most of an active lifestyle as you stay fresh and confident with Downy Sports. Downy Sports is now available in all major retailers nationwide and online via Shopee, Visit https://shopee.ph/pghomecareofficialstore . Learn more by visiting https://www.fb.com/DownyPhilippines.